Every season the countryside changes, therefore the art you can do changes. I am an artist as well as a Ranger so I like to add creativity into everything I do, outdoors spaces allow you to think big. On the beach in the summer you can do great things with sand. In the woods in Autumn the leaves and twigs are a great resource. Winter allows you to work with ice and possibly even snow and in Spring you can have anything the other seasons give you and more! Creativity is so important no life, there are no rights and wrongs when making environmental art, it is just a matter of giving it a go. You can combine this with other creative activities for a full day out. 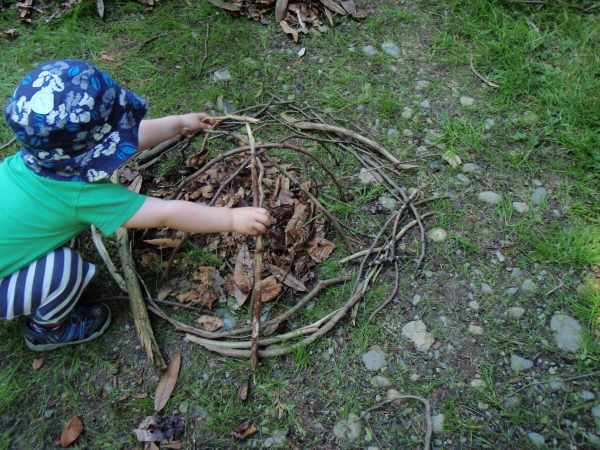 On the beach you might also like to do some rock pooling or build a shelter, in the woods you can build a fire or den and create some art too. 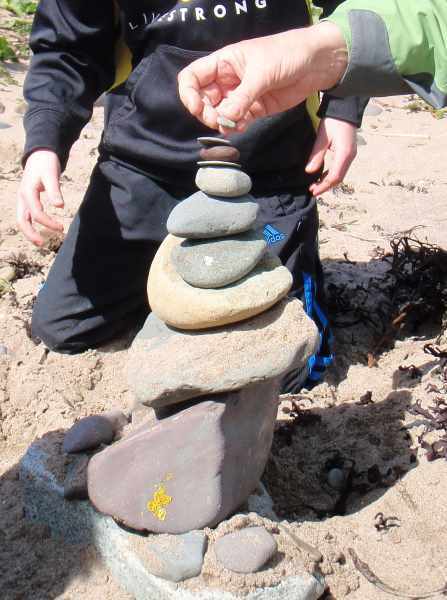 Do you think Andy Goldsworthy would have been proud of this stone creation?